The Candy Fab project is centered around a sugar sintering machine. Layer by sweet layer, the machine carefully burns a slice of the 3D model as a solid, edible,dental decay ensuring sculpture. 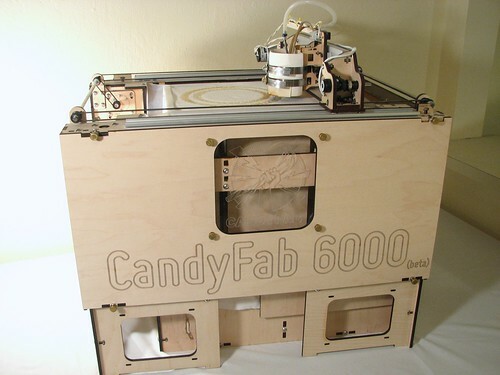 The project was sparked by Evil Mad Scientists and is currently pushing the Candy Fab 6000, the newest, desktop ready, candy fabber!